The unexplained death of a woman in Wrexham county is not being treated as suspicious, police have said. Emergency services attended a medical emergency in Ffordd Mabon, Llay, on Saturday morning. The woman was taken to Wrexham Maelor Hospital but later died. 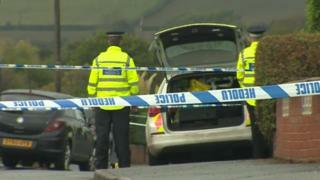 North Wales Police said officers were supporting the family and the coroner has been informed.